Christmas is almost here. 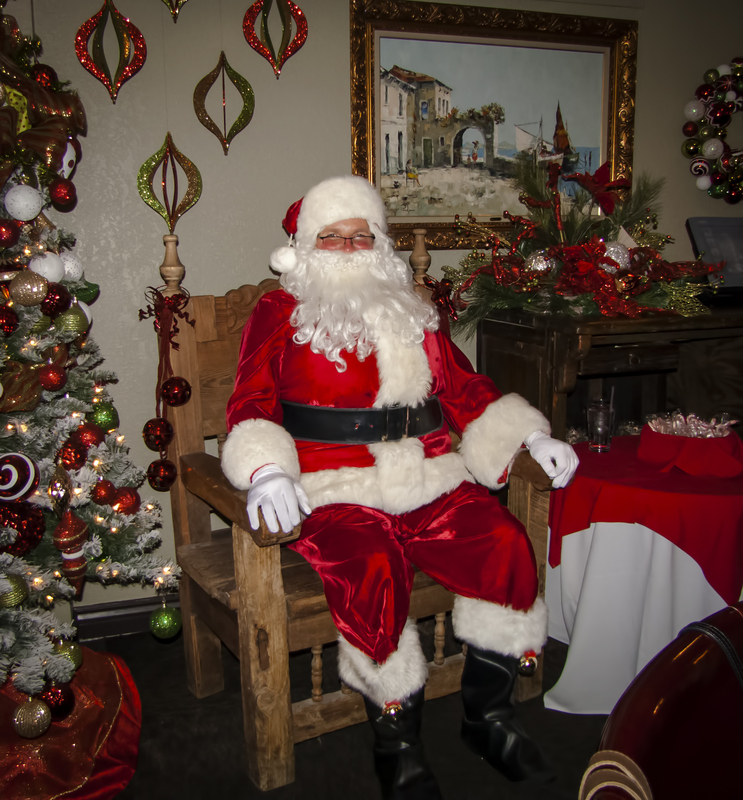 Santa recently came to visit the Marketplace and Magic Bistro. He spent time visiting with children, handing out candy canes, and taking requests. He is a jolly elf and it was great to hear a booming Ho! Ho! Ho! all over the place. He has already headed back to the North Pole because his days are busy for the rest of the week. Please come by and see us for your last minute gifts. We provide complementary gift packaging so that you can leave the shop with a present that is ready to give to your lucky recipient. Facebook warning: You can now find us on Facebook as Marketplace at Placita Santa Fe. However, there is a another site with the same name so watch out! You can tell it is not us because of all the odd postings that have nothing to do with our business. As always, be careful on the internet. We hope all your Holidays are wonderful! Dining Room is Open Again! Yea! Placita Santa Fe is the shopping center at 5034 Doniphan, El Paso, TX 79932. The Marketplace at Placita Santa Fe is the building in the back on the property on the left hand side. Inside the Marketplace are 8 Merchants and the Magic Bistro restaurant.